I'm something of an Anna Wintour devotee, given that we share interests in fashion, tennis, and Roger Federer. I regularly cover her personal style—both past and present—and basically everything she says about trends. This is all to say that I'm very familiar with Wintour's wardrobe, so when she stepped out at a major event wearing flats, I was genuinely surprised and couldn't think of a time she was photographed without heels in recent years. 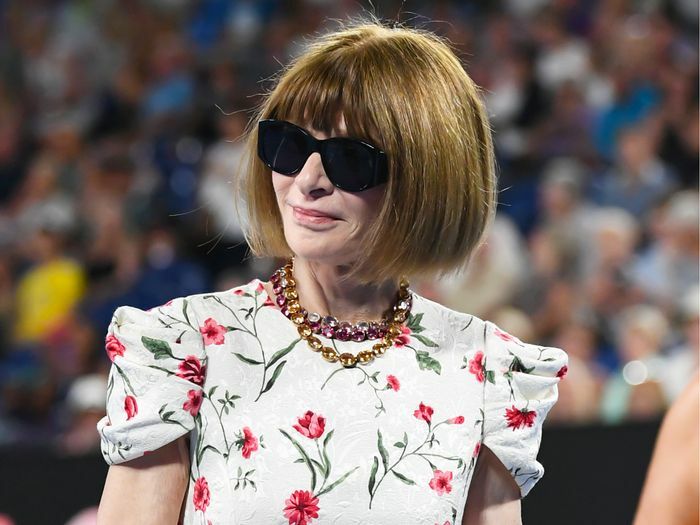 Wintour has been a courtside fixture at this year's Australian Open tennis tournament because she was tapped to headline the event's Inspirational Series, which addresses gender equality issues and celebrates women's achievements. She was also honored at an on-court ceremony in between the women's semifinal matches, which is where Wintour wore flat espadrilles with daisies printed on them—and, of course, managed to look impossibly chic. Perhaps she was asked to wear flats to avoid scuffing up the court, because, true to form, she later swapped the shoes for her go-to heels for a red carpet appearance while wearing the same outfit. The more things change, the more they stay the same. 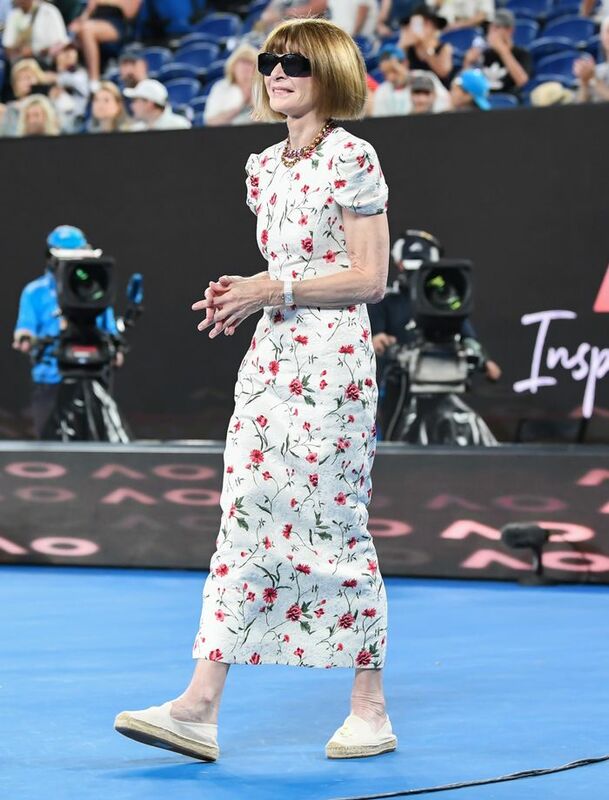 Scroll down to see what Anna Wintour wore to the Australian Open. Next, Anna Wintour reveals what she really thinks of Meghan Markle.